"Earth Summit for Sale: Katharine Ainger discovers how the UN learned to stop worrying and love big business"
WHITE ants -- Australian for termites - are pale grubs that chomp their way through wooden structures which still look intact from the outside. Until, that is, you lean on the framework and find yourself crashing through rotten, hollowed-out wood. In the run-up to the second 'Earth Summit' which will open on 26 August in Johannesburg, South Africa, 10 years after the Rio Conference which brought environmentalism centre stage, the world will look to United Nations frameworks to protect the planet and its people. But corporations with a record of undermining UN initiatives -- on climate change, toxic waste, tobacco, apartheid sanctions and more, are now 'valued partners' of the institution. Secretary General Kofi Annan says: 'The UN and private companies are joining forces.' Critics say corporations have successfully 'white anted' the UN. As the economy has globalized, political and social institutions that mitigate the worst ravages of the market have become hopelessly outgunned. For some, the UN still holds out hope for a planetary social contract for the age of globalization. But for that optimistic hope to be realized, the UN would need to have enforceable powers over corporate polluters and human-rights abusers. Big business is ahead of the game. As one international lobbyist put it: 'The first thing I tell an industry that's being threatened with regulation is to self-regulate, put in place voluntary codes of conduct.' There are now over a quarter of a million voluntary, non-binding corporate codes of conduct in place -- and not a single international binding agreement of corporate responsibility. As the UN is the likeliest venue for such an agreement, corporate partnerships and voluntary codes of behaviour are their best weapon of defence. Somewhere in Iowa, a pig is being raised in a confined pen, packed in so tightly with other swine that their curly tails have been chopped off so they won't bite one another. To prevent him from getting sick in such close quarters, he is dosed with antibiotics. The waste produced by the pig and his thousands of pen mates on the factory farm where they live goes into manure lagoons that blanket neighboring communities with air pollution and a stomach-churning stench. He's fed on American corn that was grown with the help of government subsidies and millions of tons of chemical fertilizer. When the pig is slaughtered, at about 5 months of age, he'll become sausage or bacon that will sell cheap, feeding an American addiction to meat that has contributed to an obesity epidemic currently afflicting more than two-thirds of the population. And when the rains come, the excess fertilizer that coaxed so much corn from the ground will be washed into the Mississippi River and down into the Gulf of Mexico, where it will help kill fish for miles and miles around. That's the state of your bacon today. Like the Copenhagen-jubilant corporate climate lobby before them, the big corporate bodies that dominate the drug, energy, agro-business and natural resource extraction arenas are aggressively organizing to keep any Nagoya agreement toothless, while the NGO community remains barely aware of their schemes or the fateful stakes. Spawned a generation ago, the UN's attempt to preserve the planet's living bounty was finally presented as the Convention on Biological Diversity at the '92 Rio Earth Summit and came into force in late 1993. Dubbed the Kyoto Protocol for living things, the treaty has been spurned by successive big-business-friendly US administrations, but it has been ratified by 193 other countries. The CBD's declared intent was to "significantly reduce the rate of biodiversity loss by 2010 to help alleviate poverty and benefit all life on Earth" but in the absence of clear goals, key players and binding commitments, it has failed in almost every respect. To revitalize the process, the United Nations has named 2010 the International Year of Biodiversity and organized the Nagoya COP10 conference to draft a CBD 2.0 that extends and amplifies the original treaty and hopefully fixes its fatal flaws. 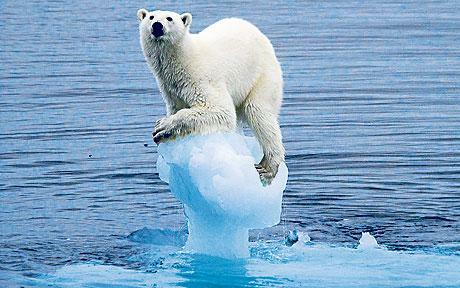 For better or worse, the results of COP10 will affect almost every ecosystem on earth for the next several decades. It is already being lavishly "worked" by the corporate community and deserves a far more vivid NGO response. Stopping the rate of biodiversity loss by 2020. Ending subsidies that harm biodiversity. Controlling the unintentional transfer of species from place to place. Placing at least 15 percent of land and sea area under protection. These proposals do seem promising, but the devil, dollars and seeds of Big Body resistance are in the details. Do agro-business and fossil fuel subsidies harm biodiversity? Whose fishing practices are "destructive"? Do genetically modified organisms constitute new species? What is on, in or under the 15 percent to be protected; who will decide which 15 percent, and what will "protection" entail? What will be the new costs of doing business if such eco-sensitivity is mainstreamed? And how much can be kept vague or voluntary to ensure business as usual for another 10 years?